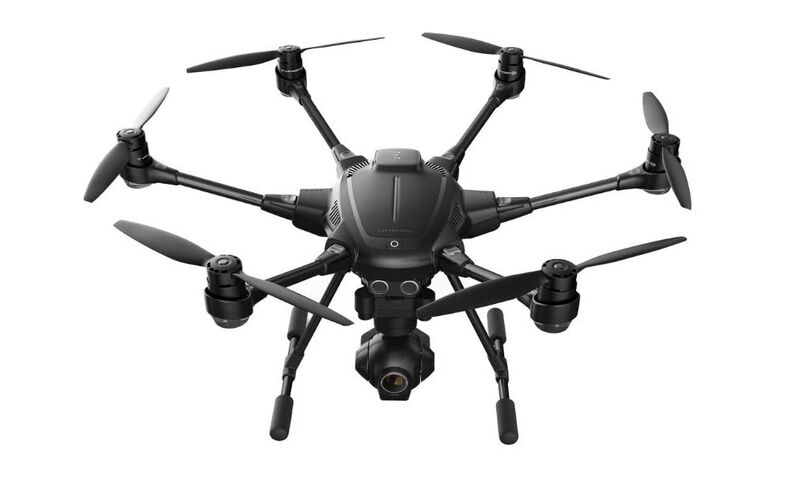 Yuneec Typhoon was one of the old champions in the drone market but it is still able to beat most of the advanced drone units with its incredible features. This device is designed to provide impressive results for aerial videography and photography even with its tiny size. This unit is especially designed to meet customer's requirements with all high end design capabilities that can be accessed at suitable price range. This device is more popular for its advanced features that are available at very small price range. Offers 360 degree shooting ability with its rotating classic 4k camera unit. Comes with retractable landing gear. 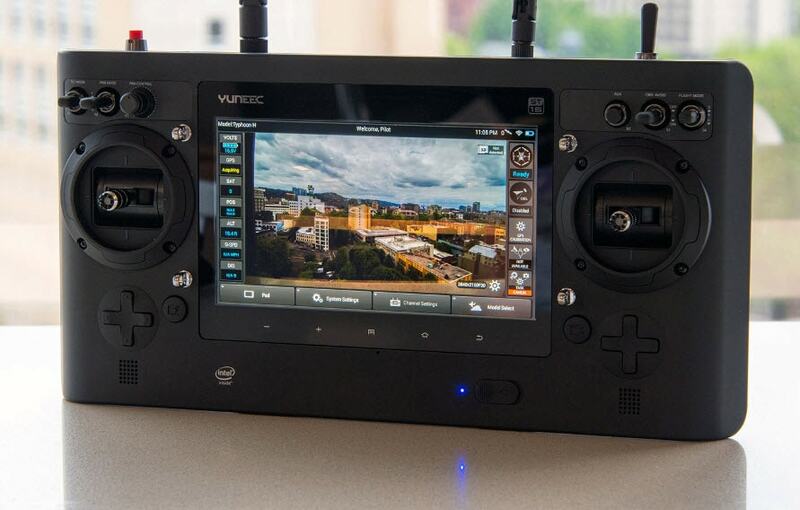 Users can have separate control over camera and drone. Typhoon is equipped with sonar based object recognition feature. Serves with Intel real-sense type obstacle avoidance system. All parts are replaceable and are easily available in market, users can complete the replacement task with do it yourself procedures. It is not designed with sturdy features as other comparable drone units. You will not find its layout and size much user friendly. Takes too much time for complete charging. Sonar Collision detection sensors and real-sense technology. People love the 6 rotor type design of Typhoon because it helps a drone to stay perfectly in air even if one motor fails suddenly. It comes with quick release type propellers that are very easy to install as well as remove. One cooler feature of Typhoon is its foldable arms that help to make it compact enough for packing when you have to go for travelling. The sonar collision detection sensors help to avoid all distractions on the way and keep your device safe from crashes. Further, its real sense technology makes it able to navigate around objects that are detected by collision detection sensor. As per the box specifications, this drone comes with a 5400mAh/ 14.8V/ 79.9 Wh battery that allows maximum flight time of 25 minutes in normal conditions. You will feel little annoying to know that its battery takes about 2 hours to get completely charged. So you have to wait so long to make it fly again. Typhoon offers 25 minutes flight time with the maximum speed of 45 meters per hour. This drone is designed with five unique modes for flight; one of these is the journey mode that helps to take of automatically and then starts taking selfie. You can activate follow me and watch me mode on this device and it will keep on following you over your path while keeping camera pointed towards your movements. One latest feature is Curve Cable Cam that helps users to program complete route for drone with pre set coordinates whereas camera positions can be controlled separately. If you switch to orbit me mode then it will start flying in circular direction but camera stays locked to control position. Further, the point of interest mode makes this drone to rotate around a fixed subject as per user's selection. You will definitely love its return to home feature that helps it to land safely to original position. Typhoon H is equipped with a built in type obstacle avoidance sensor that can find all distractions easily around and keeps your drone safe from crashes. It works with sonar technology that means your device can easily detect all the undesired objects on the way even in low light conditions or in darkness. Note that this sensor is attached at front portion of your drone so it can serve with the detection ability to front facing objects only, if anything comes from sides then your drone will not be able to stay safe. But still, at least you have a new feature and it works amazingly. The controller part is really interesting with few additional features as compared to its predecessors. You will be able to access button and knobs but one new addition to controller is in form of its built in type 7 inch touchscreen that can display the telemetry data on continuous basis. Here is good news for professionals; it is possible to connect this drone to more than one controller at a time so that few highly customized shoots can be gathered. Filmmakers love to access these advanced features. The drone camera can provide 4K recording facility whereas users can also switch between 2.5K and 1080p level as per need. The FPS ratings can be shifted for better results. Results can be enhanced with its ½.3” CMOS sensor and the developers also claim to serve with video transmission range of about 400 meters. 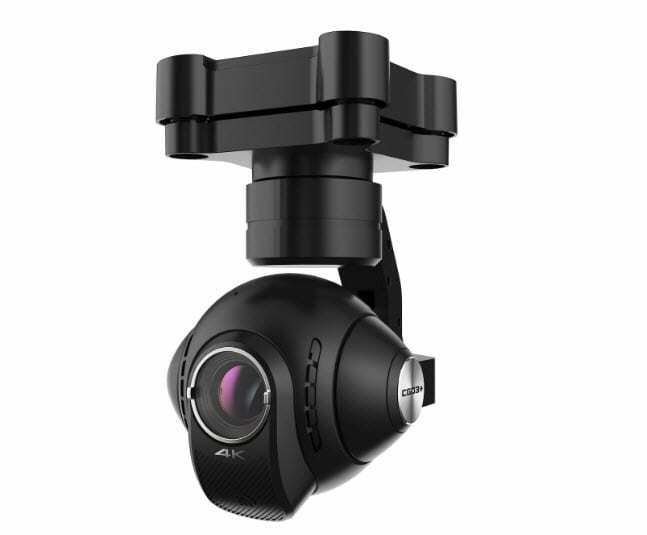 The 360 degree gimbal is also available with this drone and its results are professional looking with advantage of sonar sensor. If we consider all advanced features then there is no doubt to say that Typhoon H is one of the fantastic units for hexacopter lovers. It is much easier to control for beginners as well as professionals whereas the results for footage and stills are really impressive. The best part is its ability to fold up into a compact size so that users can take it to any far location with ease. Although you may find the battery issue as it takes about 2 hours to get completely charged but the performance on rest all parameters is impressive. And all these features are available at very suitable price range. Most of filmmakers love to record their aerial shots with this device as its dual operation mode makes it suitable for serious filming needs.